LIQUI MOLY has reported that its first worldwide online campaign was a resounding success. The target the company set for itself was 1 billion impressions. “In fact, it went so well that we ultimately achieved 1.6 billion impressions,” said CEO Ernst Prost. 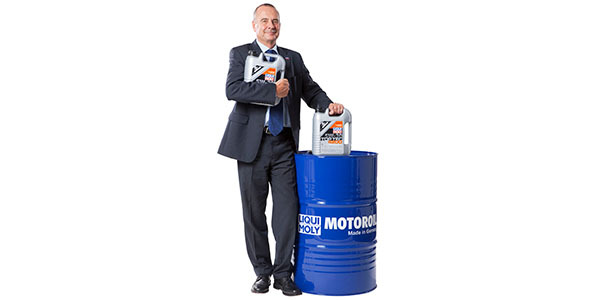 LIQUI MOLY deliberately established a broad basis for its three-month campaign. The campaign ran in 50 languages in 128 countries. The focus was primarily on Germany as the brand’s home market, in addition to strong international markets such as the U.S. However, the campaign also ran in such diverse locales as Togo, Haiti and Mongolia. “In this way we were able to raise LIQUI MOLY’s brand profile internationally and support our local dealers,” said Prost. The latter were even able to link into the campaign to their own individual benefit. “And it didn’t cost them a cent,” said the CEO. The campaign also included a competition offering prizes such as exclusive city trips with VIP tickets for MotoGP races. LIQUI MOLY has maintained a presence in the MotoGP for years. More than 85,000 people worldwide entered the competition. The winners of the draw were John Jester from Easley in South Carolina, USA (winning a trip to Berlin), Frank Stege-Schilly from Düsseldorf in Germany (winning a trip to New York) and Vicko Peovic from Sabetta in Russia (winning a trip to Malaysia). LIQUI MOLY said it also was a winner: through the competition it acquired more than 25,000 newsletter subscribers.